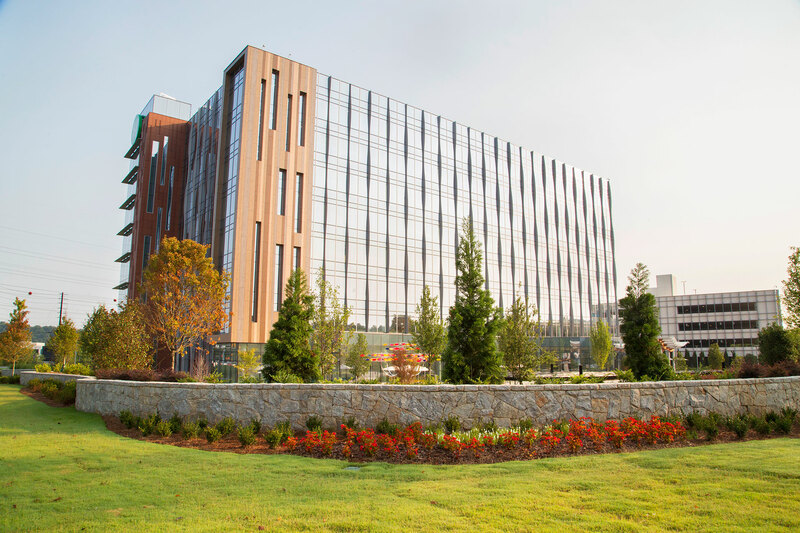 Children’s Healthcare of Atlanta at North Druid Hills | A & C Development, Inc.
A&C performed the installation of the gardens at the new Advanced Pediatric Center in Brookhaven. 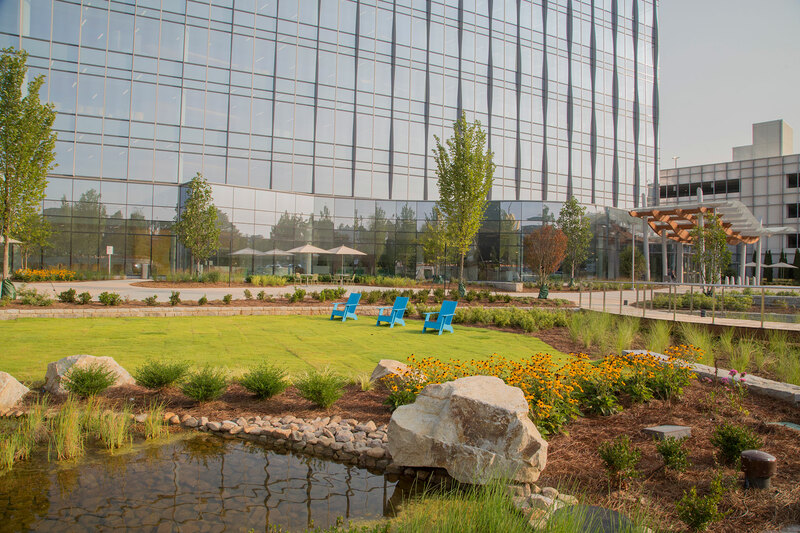 The approximately $2 Million contract with Brasfield and Gorrie includes performing specialty hardscapes, granite walls, trellis, and landscape and irrigation. As one of the founders of our company, Amy was instrumental in the formation of A&C Development. 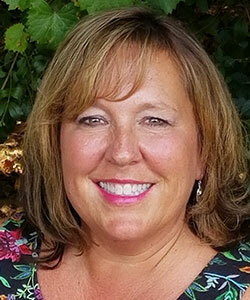 With a PMI certification and experience in International Business and a family residential construction business, Amy’s attributes were invaluable in the earlier days of this organization. Over the years her day-to-day role has morphed from CFO, to President, and her role today is predominantly behind the scenes, as she works to raise three young boys. Elliott serves as the main Point of Contact for all residential projects or projects for residential developers, builders, and residential property managers. His responsibilities include management of the entire scope of the project from start up to completion. Elliott’s role is to ensure A&C client satisfaction, managing the process to ensure the end product meets or exceeds all expectations. He is not only the client’s primary point of contact, but is instrumental in coordinating the many valuable trade partners that handle landscape, irrigation, fencing, concrete, pavers, etc. He is Instrumental during permitting and coordination with local municipalities to ensure project compliance. Patch has been in construction since 1991 and has mostly worked in commercial high rises. He has always enjoyed the hardscape and landscape portions of his career and felt as if it was like putting the beauty into the structures. Patch believes the “pop” of the buildings that surround us comes from the plants and trees, the interesting amenity decks, rock planter walls, and personal areas, such as garden paths, and seating. 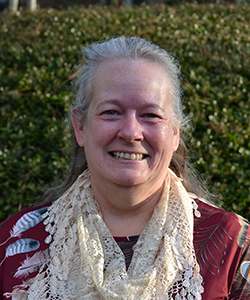 As the Office Manager, Ginger handles all of the invoicing, Accounts Receivable and Accounts Payable for A&C Development, Inc. Ginger does whatever she can to help make everything run smoothly and keep A&C’s clients happy! 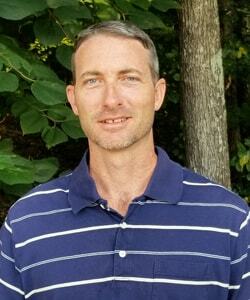 With more than 14 years of extensive experience in the construction and development industry, B.J. is one of A&C’s project managers on all commercial projects. B.J. is a graduate from the University of Georgia with a degree in Landscape Architecture. He is responsible for all commercial project plant material submittals, as well as locating, tagging and purchasing all green goods. He is accountable for scheduling all plant material deliveries and maintaining project timelines. 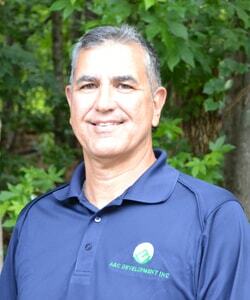 With more than 33 years of construction experience, David is A&C’s Development Manager for all commercial projects. David oversees the management of the entire project from preconstruction bidding to project turnover. 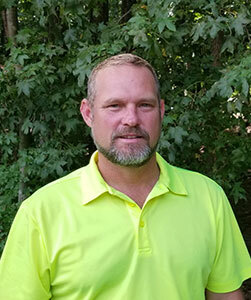 His day-to-day responsibilities include the field management of all subcontractors including landscape, hardscape, irrigation, fence, electricians, plumbers, concrete flatwork contractors and more. David’s extensive experience will ensure your project is delivered on time and on budget. Chris Sears, founder of A&C Development, has over 20 years of industry experience in the Atlanta market and holds a Commercial General Contractor’s license (unlimited tier). 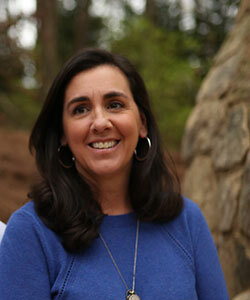 Chris is also a Registered Landscape Architect, and owner of Sears, Smith and Associates, Inc., a full-service, Atlanta-based Landscape Architecture firm. He has a passion for building client relationships, and strives to build unique and memorable places across Atlanta. 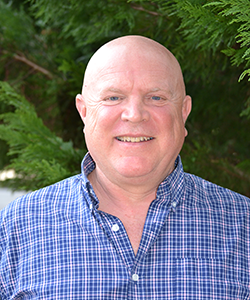 His earliest industry experiences include humble beginnings working on landscape construction crews, as a nurseryman, working in forestry and even as a survey technician. Chris began his career in Atlanta with a small firm where he gained experience working on projects for developers, homebuilders, and large residential estates. 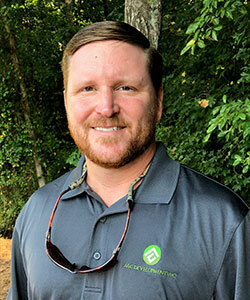 In 2001, Chris moved to a Project Management role for ValleyCrest, the largest landscape contractor in the nation. This move allowed him to gain valuable management and construction experience on large multimillion-dollar commercial projects. With continued success at the firm, he was promoted to a business development role, then ultimately went on to create and lead their Design-Build Department. While exceeding all corporate goals and expectations, Chris had a vision to provide superior service to his clients and decided to devote all of his efforts to establishing a company that would do just that. In 2005, Chris established Sears, Smith and Associates, Inc. (SS&A), which has since provided clients across the metro Atlanta area with analysis, planning, design, management and stewardship of the natural and built environments. SS&A has created memorable designs for its clients’ outdoor spaces ranging from mixed-use and commercial landscaping, to stunning private, residential backyard makeovers and golf course communities. Understanding the need for a seamless option for the implementation and installation of these designs, Chris and his wife, Amy, then established A&C Development, Inc., as a general landscape contractor in 2005. Since then, A&C has delivered many visions into realities. 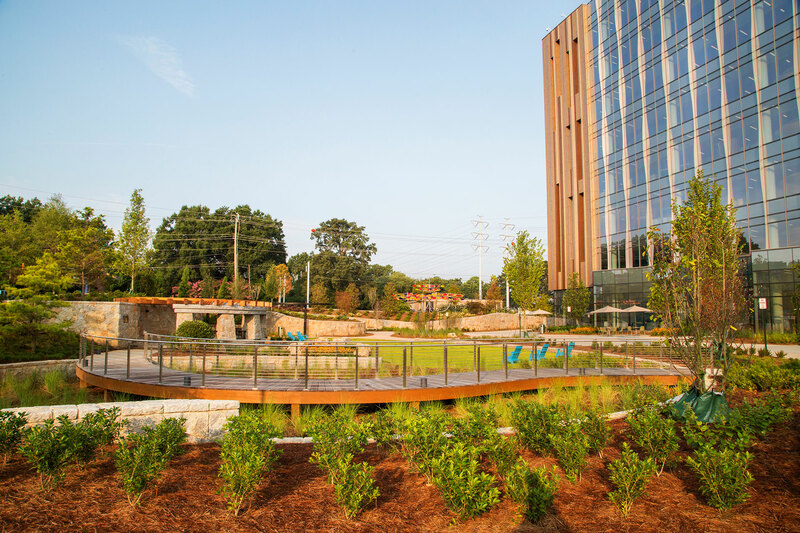 We continue to strive to build memorable places, whether designed by SS&A or in partnership with any of the other great Landscape Architecture firms, General Contractors, Developers, or Property Owners in Atlanta! Jeremy has over 20 years’ experience in the construction industry. 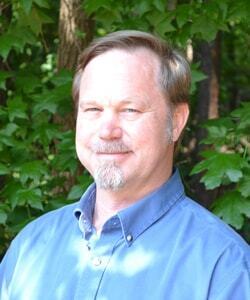 His extensive knowledge of this industry includes all facets of landscape, irrigation and hardscape systems. His responsibilities include project coordination, technical review of cost estimates, contractor procurement, project cost review, value engineering, and contract negotiations for a variety of project types. Jeremy is a LEED Accredited Professional, a Project Management Professional, a certified Commercial Building Inspector, and holds Contractor Administrator and Construction Estimator certifications. 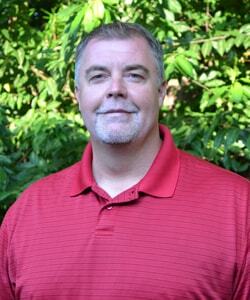 With almost 20 years in the construction industry, Matt supervises the on-site operations for A&C. Matt oversees on-site subcontractors for scope and quality of work, and that budgets and schedules are met or exceeded. Matt will work directly with the owner to ensure satisfaction.